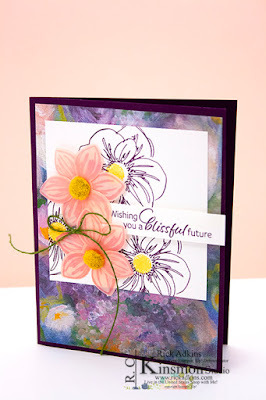 Hello and welcome to my Blog and YouTube Channel today; is the 18th Episode of Saturday Simple Stamping. Wow, can you believe it! Since Spring is here and there are a ton of weddings that are going on or coming up I thought it would be a great time to do a wedding card. 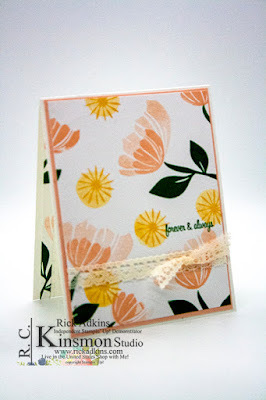 And since it's that time and there are so many new stampers out there I thought it was a perfect kind of card todo. Here's a look at my card. 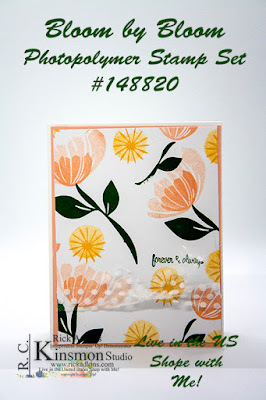 I just love simple stamping and it's such a great way to share with new stampers how to create cards that are easy for them to recreate. All these projects can be found in my Simple Stamping Playlist on my YouTube Channel if you missed a episode. I started out my card by using a piece of Whisper White Cardstock cut at 5 1/2 x 4 1/4 (so actually quarter sheet of cardstock). I then started stamping with first and second generation stamping for the large flowers using Petal Pink ink. Petal Pink seems to be my new go to color lately, I seem to go to it when I am not sure what to use. Petal Pink actually goes very well with So Saffron and Garden Green; which is why I picked those two colors. I then stamped the smaller flowers in Petal Pink and the other flowers I used was So Saffron (stamped off once with the solid circle and then stamped full strength with the other stamp to create the daisy like flower. I then cut down the card front to 4 x 5 1/4. 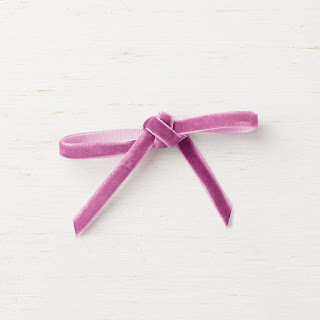 Make sure that you save the long piece that you cut off so that you can add it to the inside of the card, this makes a great accent to tie the inside into the front. I then layered that onto a piece of Petal Pink Cardstock cut at 5 3/8 x 4 1/8. Then I added my ribbon. I designed the card using the Very Vanilla lace Trim to begin with but wasn't sure if I liked it or not so in the video I change to the Whisper White Dotted Tulle Trim. So leave me a comment on which one you prefer. I will draw a winner from all the comments on my YouTube Channel and here for a prize. 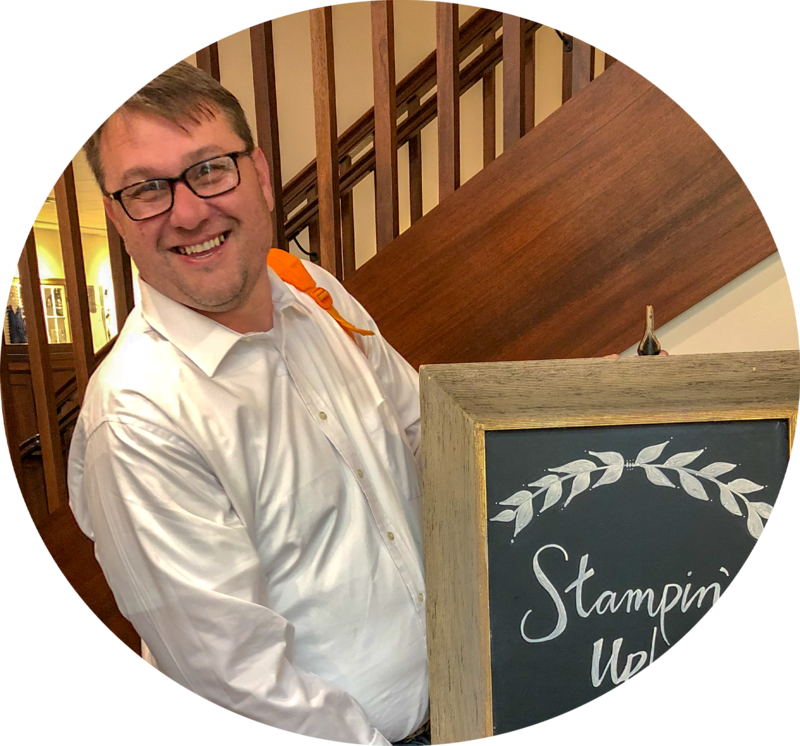 You will need to live in the United States to be a winner due to Stampin' Up! policies. I will be giving away a roll of the Rich Razzleberry 1/4" Velvet Ribbon. I will announce the winner on Monday evening. If you are viewing this post in your email you may have to click here to view the video because I've noticed that some emails will not play the video. 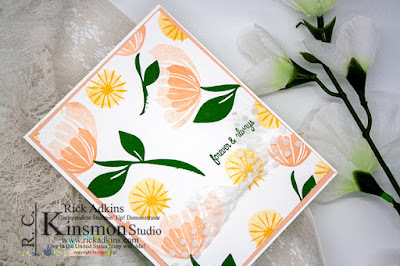 Thanks for dropping by for this weeks Simple Saturday Stamping Episode. Last week I didn't do a video for the card so encase you were wondering where it was I thought I would try something a little different. This also told me that you all love the videos and wanted to see them so I went back to the old format. 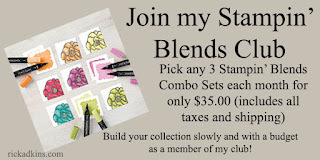 You can find all the supplies in the Shopping List below; I would love to be your demonstrator and help your along your paper crafting journey.